You are here: Home > MCSD News & Alerts > MCSD News & Alerts > CMS News > 9th Grade Academy featured in Muscatine Magazine! 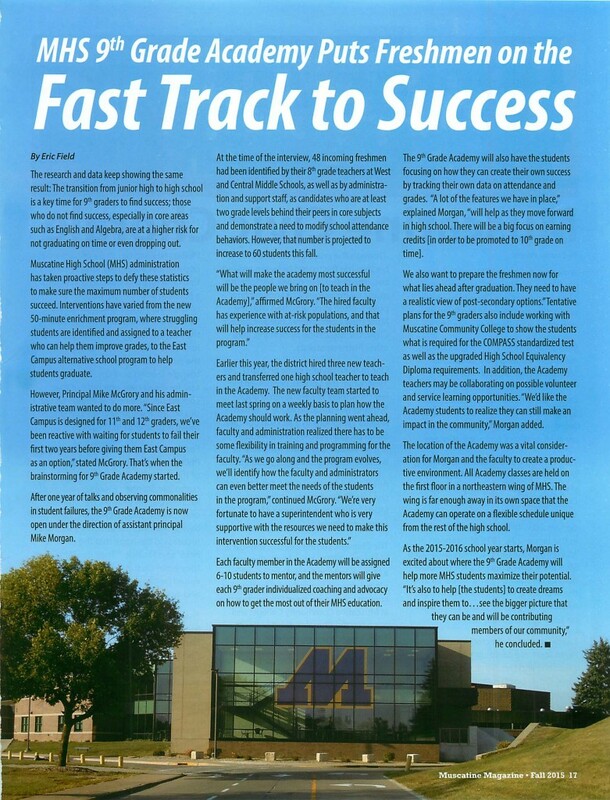 The MHS 9th Grade Academy was featured recently in the Fall issue of the Muscatine Magazine. Check out page 17! Go to: http://issuu.com/muscatinemag and select the Fall issue!